Brightvue™ multicoating: Bright, multicoating optics deliver up to 92% light transmission. Large exit pupils: Improved low light hunting at dawn or dusk, when the game is usually moving. 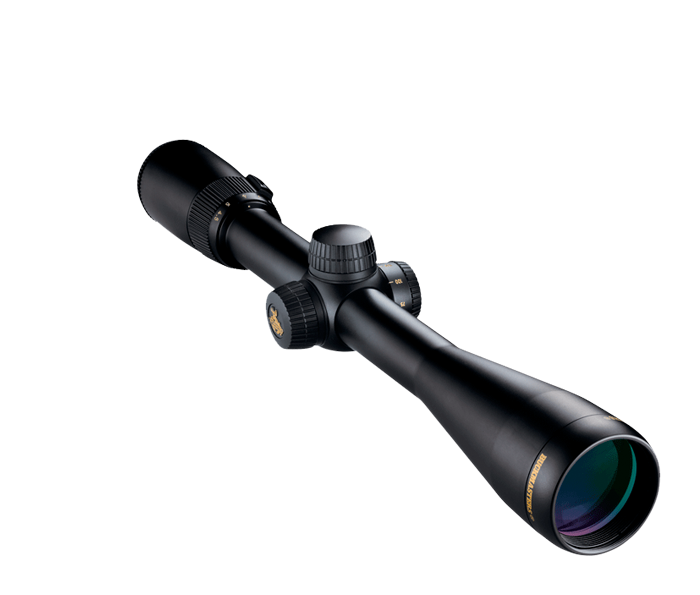 Side focus adjustments: Long Range models include adjustments for parallax-free sighting. Precise, hand-turn 1/4-MOA click adjustments: Positive-click reticle adjustments get you zeroed-in quicker and maintain your setting even with heavy recoil. Sunshade adaptable: Optional accessory sunshade eliminates glare in particularly bright conditions and keeps dust and rain off of the objective lens on rainy days or in dusty environments.